Audiences were mesmerized by Disney’s live-action epic adventure “The Jungle Book,” which has earned more than $911 million at the global box office to date. 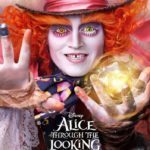 I saw it with my daughter & parents, and we all absolutely loved it. Jon Favreau did a wonderful job adapting it for the big screen, and the CGI was flawless. 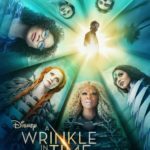 The movie will be available early on Digital HD and Disney Movies Anywhere on August 23, and on Blu-ray Combo Pack, DVD and On-Demand on August 30. Disney wants to give three lucky readers a digital copy of The Jungle Book that they can with their whole family. 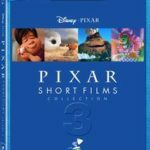 To enter, tell me your favorite part of the movie, or what you want to see most if you haven’t seen it yet. Once you do that, you can complete the extra entries on the Rafflecopter form. The giveaway is open to US residents only, and ends September 4th @ midnight CST. Disclamer: This giveaway is in no way related/sponsored/endorsed by Facebook, or Twitter. Winners will be chosen at random and have 48 hours to respond or a new one will be picked. 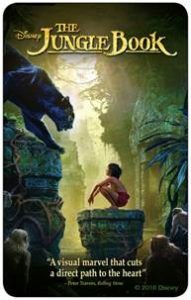 Each household is only eligible to win one digital copy of The Jungle Book via blog reviews and giveaways. Only one entrant per mailing address per giveaway. If you have won the same prize on another blog, you will not be eligible to win it again. Winner is subject to eligibility verification. Prize cannot be shipped to P.O. boxes. Failure to complete the mandatory entry in full will result in disqualification. 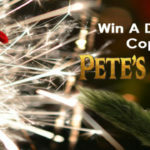 The prize will be mailed directly to the winner by Misadvmom.com, and a tracking number will be provided. Misadvmom.com is not responsible for items being lost or damaged during shipping. Last updated by Angela Rogers at September 11, 2016 . I just want to see the live action take of the film! I used to watch the animated version all the time as a kid so pretty excited to see this! Thanks so much for the chance! I’ve heard it’s beautiful, and I’m really looking forward to the effects & cinematography. I haven’t seen the film yet. And can’t wait to see how the live action comes out. I haven’t seen it yet but I would like to see all of the beautiful animals. I remember this movie and the book so well from my childhood. I’m excited to see it all!!! I haven’t seen it yet. I look forward to the special effects. my favorite part will be any scene with KAA.